ATLANTA — The clutch quarterback. The genius coach. The big-play defense. The San Francisco 49ers are ready to start a new dynasty with a familiar formula. Next stop, the Big Easy. Colin Kaepernick and Frank Gore led San Francisco to a record comeback in the NFC championship game Sunday, overcoming an early 17-0 deficit to beat the Atlanta Falcons 28-24 and send the 49ers to their first Super Bowl since 1995. 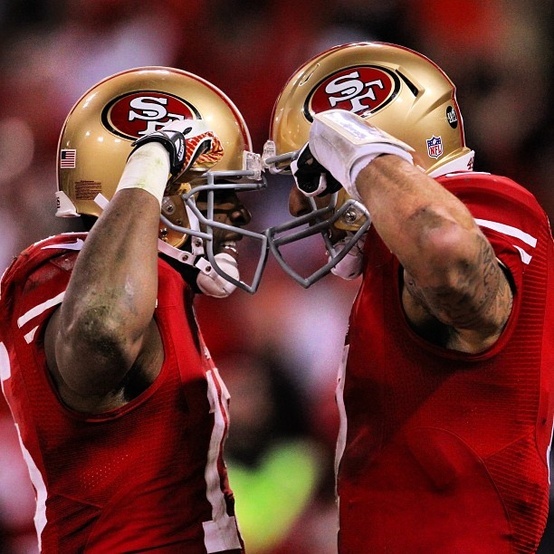 The 49ers will play the Baltimore Ravens in Super Bowl XLVII in New Orleans on Feb. 3. The Ravens defeated the New England Patriots 28-13 on Sunday night.